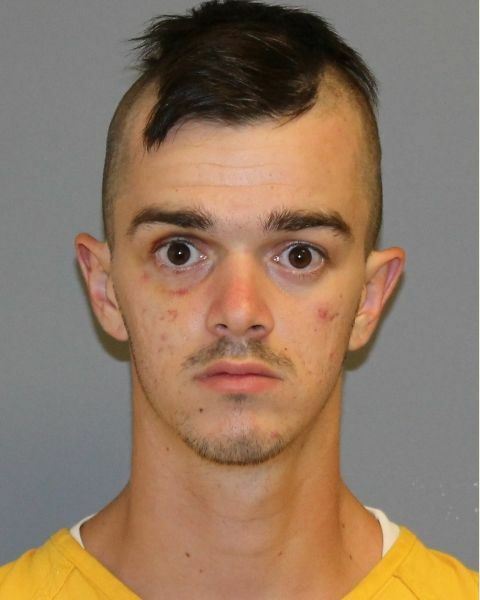 The Grand Junction Police Department has arrested 22-year-old Joseph Daniel Hill on charges of robbery, obstructing a police officer, resisting arrest and theft. The arrest came after a GJPD motor officer was riding past the Canyon Convenience Store at 1134 N 12th St. at approximately 9:45 p.m. last night. The officer saw a struggle in the parking lot and then saw a man flee the area on a bicycle. Officers learned one of the men involved in the struggle was the store owner who said he was trying to stop Hill from leaving because Hill had concealed several energy drinks in his pants and tried to leave without paying for them. Other officers in the area spotted Hill, who matched the description of the suspect, and ordered him to stop. Hill continued to ride his bicycle away from them and was found a short time later hiding in the backyard of a home in the 1000 block of Hill Ave. Officers brought the store owner to the area, and he identified Hill as the suspect in the robbery. Hill was under arrest at 10:15 p.m.
Officers booked Hill into the Mesa County Jail. This entry was posted in GJPD News and tagged Canyon Convenience Store.